We’re big fans of the Glass Wire firewall and security system, and one of the great features they have in the Pro version is a quick and easy Network view that shows you all the devices connected to your Wi-Fi network. Glass Wire isn’t just a firewall, it also has beautiful graphs to show your bandwidth usage, see what applications are connecting to what, and exactly how much bandwidth each application is using. You can get alerts when an application changes something, or when an installer tries to install a new system driver. There are tons of features, too many to list here. But what makes Glass Wire even better for today’s topic is that if you go into the Settings panel, you can actually enable alerts whenever a new device tries to connect to your Wi-Fi. Now that’s a great feature! Glass Wire is free for basic use, but the network device monitoring is only included in the paid version ($49 for one PC). The standard tips for accessing your router’s web interface apply. If you’re not sure of its IP address, you can generally look for your computer’s gateway IP address via the Control Panel. You could also run the ipconfig /all command in a Command Prompt window. You’ll now need to look for the option in your router’s web interface somewhere. Look for a link or button named something like “attached devices,” “connected devices,” or “DHCP clients.” You may find this on the Wi-Fi configuration page, or you may find it on some sort of status page. On some routers, the list of connected devices may be printed on the main status page to save you some clicks. and on many Net gear routers, you’ll find the list under “Attached Devices” in the sidebar. On many Linksys routers, you’ll find this option under Status > Local Network > DHCP Clients Table. at Comcast Xfinity routers, you’ll find the list under Connected Devices in the sidebar. When you get the list open, you’ll generally see similar information on every router. The interface probably shows you a table with a list of connected devices, their “hostnames” on the network, and their MAC addresses. If the list doesn’t offer meaningful enough names, you may want to change the hostnames (also known as “computer names” or “device names”) on your computer or device’s operating systems. The hostname will be visible here. Unfortunately, there’s no way to change the hostname on some devices — for example, we’re not aware of a way to change an Android device’s hostname to a more meaningful one without rooting it. When in doubt, you could always compare the MAC address is seen on this page (or the IP address displayed) to the MAC address of a device you’re using to check which device is which. Ultimately, this isn’t the most powerful security feature or a foolproof way to notice people connected to your network. It’s not something you need to check regularly. If there are devices you don’t recognize, you can change your Wi-Fi passphrase — you’re hopefully using WPA2-PSK encryption — and that will kick all the devices off until they can provide the new passphrase. 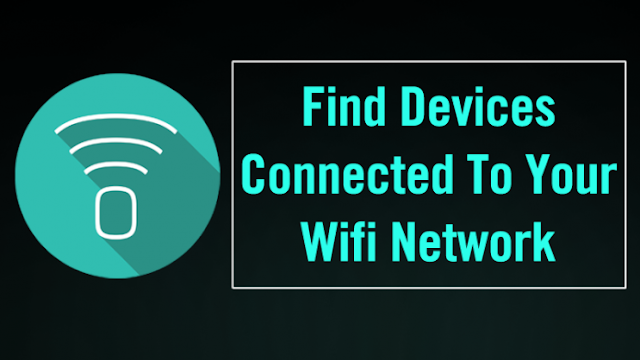 The ideal way to check for connected devices will generally be to use your router’s web interface. However, some routers may not offer this feature so you may want to try a scanning tool instead. This is a piece of software running on your computer that will scan the Wi-Fi network you’re connected to for active devices and list them. Unlike router web interface tools, such scanning tools have no way of listing devices that have been connected, but which are currently offline. You’ll only see online devices. There are a lot of tools for doing this, but we like Nir Soft’s Wireless Network Watcher. Like other Nir Soft software, it’s a convenient little tool without any adware or nag screens. It also doesn’t even need to be installed on your computer. Download the tool, launch it, and it will watch your Wi-Fi network for active devices, displaying their device names, MAC addresses, and the manufacturer of their Wi-FI network hardware. The manufacturer name is very helpful for identifying specific devices without device name — especially Android devices. Once again, this isn’t something you really need to worry about constantly. If you’re using WPA2-PSK encryption and have a good passphrase, you can feel fairly secure. If you’re concerned this is happening for some reason, you can always just change your Wi-Fi’s passphrase—you’ll have to re-enter it on all your approved devices, of course.